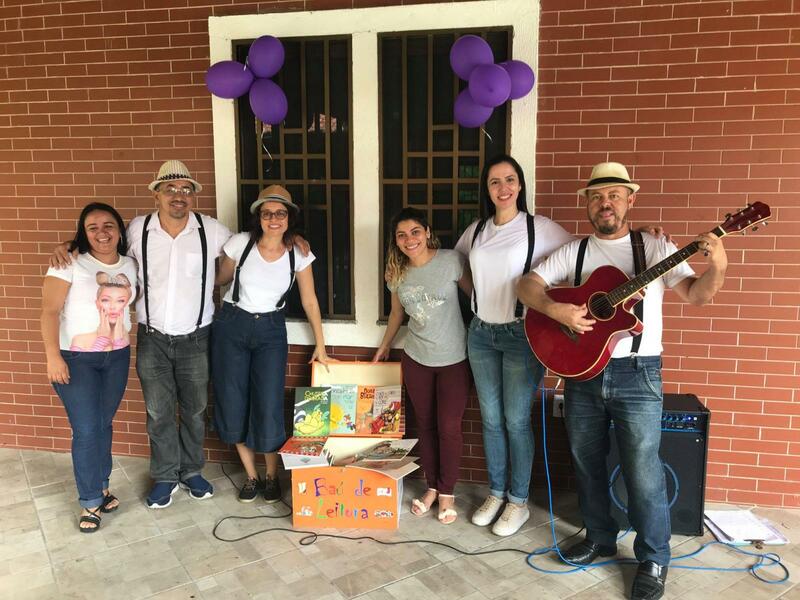 The Saint Monica Home, a socio-educational center of the Augustinian Recollects against the exploitation, abuse and sexual violence against girls and adolescents in the Brazilian city of Fortaleza, received 400 books from the project "Trunk of reading” with the collaboration of the ONG "House of the story ", in a truly story filled day. 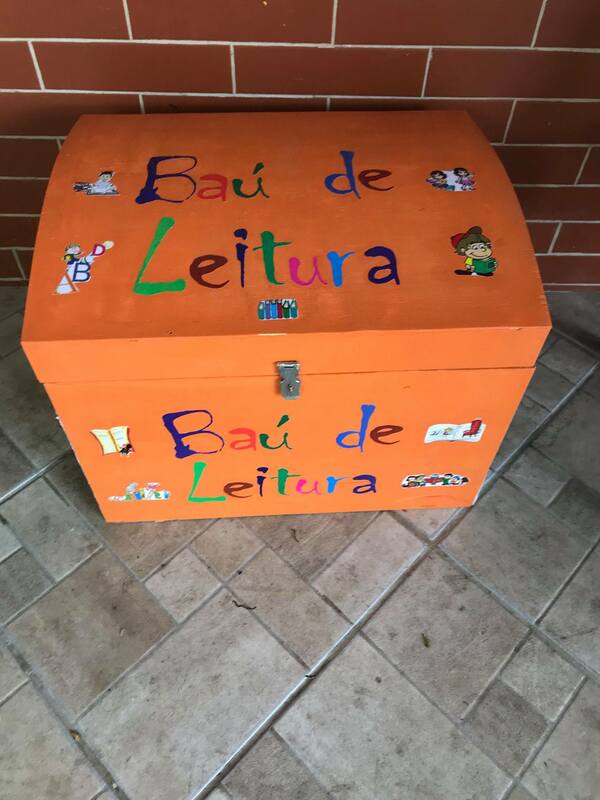 The Saint Augustine Cultural Center, education and culture area of the Saint Monica Home of the Augustinian Recollects in Fortaleza (Ceará, Brazil), received on January 21 the donation of 400 books and the participation of four members of the ONG House of Story, which offered the small residents a true recital of literary joy. With the sponsorship of the energy company Enel and under the legal protection of the Law of incentive to the culture of the State of Ceará, the Saint Monica Home was filled with imaginary worlds and wise, comforting and animating information;free advice and free access to books. A total of 400 books have been added to the collection and are on the shelves of the Cultural Center so that residents can enter these new worlds. In addition, the four members of the House of Story left a "trunk of reading" with many other children's books.They were distributed as they sang and told stories. 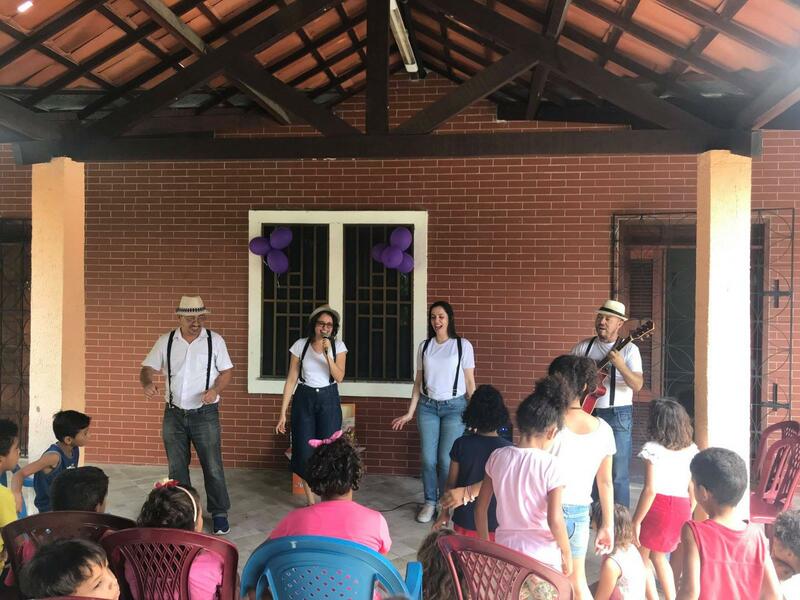 The day was of such importance that the Saint Monica Home was attended by many other children from the various social projects of the Uirapurú Spiritual Condominium. Everyone enjoyed a show that was full of, fun, joy and teaching. The House of Story is a non-profit civil association composed of storytellers, writers, artists, musicians, historians, psychologists and educators who know the great capacity for social inclusion that reading and books have. This ONG was born in 2002 in a Public Library of Fortaleza to receive children's education students from educational centers in this cultural space. During the following years, almost 20,000 children received these guided tours and accompanied by reading sessions, storytelling, music, theater, games and writing workshops. The activities led to the creation in 2004 of an ONG with all the promoters and the many volunteers who joined. The activities were extended to neighborhoods throughout the city, leaving the space of the Library. New activities were added, such as the recovery of oral memory, stories and stories from the region with the collaboration of older adults, or specialized training for teachers of the public network for the promotion of reading among students. For its part, the Trunk of Story project aims to encourage reading and contribute to the literacy process of children and adolescents from especially vulnerable social communities. In each book delivery, creative activities and storytelling sessions are carried out, as well as training workshops for pedagogical agents for the promotion of reading.